I think that with Transylvania, there isn't much to write about. Okay have I got your attention? Okay sit down on your chair and think of something to comment 'cause I've run out of ideas to speak of on this subject. No, just kidding. Note that the italicised email below came to my email box, but I have found this on a website as well. This does a lot of damage to the culture and people of Transylvania. "It is indeed fortunate that many of the ancient Transylvanian documents, dating back as far as the 11th century, were transferred to the Hungarian National Archives in Budapest, some before World War I, and others during World War II. Thus, in spite of all the Rumanian efforts to eradicate the past, the true history of Transylvania can still be proven by thousands of ancient documents and the traces of the once great Western-oriented culture of the Hungarians in Transylvania can still be found in libraries and museums, not in Hungary alone, but also in Austria, Germany, Italy, France, England, and the United States of America. 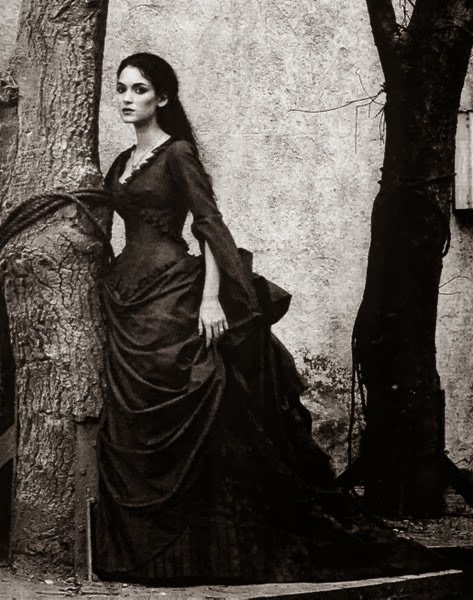 The Romanian culture is entirely different from that known as the "Transylvanian culture", which is in reality a regional diversity of the West-oriented Hungarian culture. The Rumanian culture is Balkan-oriented, and specifically Rumanian, based on the history of the Vlach migration from South across to Albania, and from there up to Wallachia and Moldavia. It was brought forth by Balkan influences, just as the Romanian language itself, which is composed, according to the Romanian linguist Cihac, "of 45.7% Slavic, 31.5% Latin, 8.4% Turkish, 7% Greek, 6% Hungarian and 0.6% Albanian words." Even today, the Romanian culture as such, has no roots in Transylvania. It is being "imported" constantly and purposefully from Bucharest into the Transylvanian province in order to crowd out and replace the traditional Hungarian culture of this conquered and subjugated land. Future of Transylvania and its capital Kolozsvár is to return to Central Europe and to Hungarian Culture where it belongs. 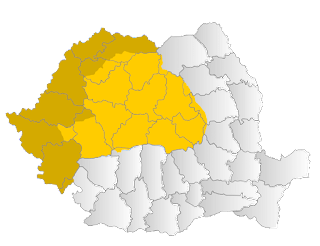 Transylvania was GIVEN to Romania in 1921, and again in 1947, without a plebiscite. This notorious Treaty is known as The Diktat of Trianon, Hungarians were forced to sign in Paris. Ever since Transylvania was awarded to Romania, Hungarians, Germans and other ethnic minorities have suffered at the hands of Romanian Chauvinists. They have consistently and systematically been subjest to forced assimilation and persecution. Romania is probably the most xenophobic country in Europe today. Romanians in cities like Marosvásárhely (targu mures) and Kolozsvár (cluj) are practising ethnic cleansing an a scale only seen in former Yugoslavia. Hungarians are subject to constant discrimination, Hungarian signs are painted over or not allowed at all, intimidation by Gheorghe Funar is carried out against Hungarians on a daily basis aimed at driving out all Hungarians from this ancient Magyar land." I got this email a few days ago, and the subject line was Why don't you tell the Truth about Transylvania? I though that the end was a bit more important than much of what was said, as this end seems to suggest that there is a type of cultural extinction happening here. The author comments that Hungarians were peaceful and loving to their neighbors. I'm not sure of how this anger came about, but I wonder about it. I've looked into the usual suspects in the interest wikipedia, and the Hungarian government website as well as the Romania. There is no mention of such past things. To explore further I'll be contacting both the consul generals of Romania and Hungary on the subject. One is near my home and the other is far enough away that I'll need to phone them. this is something that has caught my eye, and I want your opinions as well. I have a feeling it was this post that made this person send the email. First of all, I must admit that, as I'm not very versatile at blogging, I don't know for sure who I am talking to. Is it Rebecca, for example, who posted this email or somebody else? Look, my email address is lucius210@lycos.com and whoever you may be, you can write to me on the subject of Transylvania at this address. Then, to comment on this horrid post, the theories that Transylvania doesn't rightfully belong to Romania, that Romanians are some kind of population which came from the south of Europe, that the Romanian language is some slavic language etc. are completely ignorant vagaries, to say the least. People should study a bit from time to time when they want to discuss some topics. Just to illustrate what I’m saying, I mention that Romanian language is the Romance language (language of Latin origin) that is the most akin to Italian, both the vocabulary and the grammar structure can prove it. My sister, who is a Romanian (like me) and who is married to a Hungarian-ethnic (my nice brother-in-law), lives in Cluj Napoca, a city I last visited when I became the godfather of their little daughter. Cluj is a wonderful place and people live peacefully there, no matter their ethnicity. There are some tensions between different ethnic groups living in Transylvania, but these are triggered by insane, speculative politicians, and are no different than the conflicts between the Walloons and the Flemish in Belgium, boiling down, in general, to some stupid remarks. I love Transylvania, which is my country, and I was thinking of moving in a village near Bistrita-Nasaud called Livezile, or, at least, if I can afford, I would like to have a holiday house there. 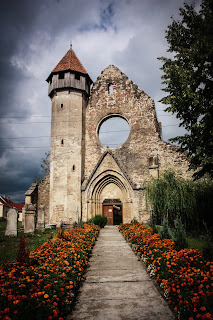 Transylvania is gorgeous exactly because it is mysterious and diverse. Currently, around 70% of its population is of Romanian origin. Its history is turbulent and fascinating and consists of both good and bad times, just like any other province in Western or Eastern Europe. What I love most about this region is that it's still a bullwark against globalisation and uniformisation without being backward. One can have access to any modern technology and also can find themselves in complete wilderness, it depends which road you take. I've visited, studied and lived in some European "developed" countries and I am fed up with the benefits of the civilisation. Like Mark Twain's Huckleberry Finn, I guess I don't want to be civilised, I prefer being close to nature. Nevertheless, indeed, Transylvania is more westernized than Wallachia, the province where Romania's capital is situated and where the Balkan influence is bigger, but this is just to show how interesting Romania can be. Every region has its peculiar traditions and that's why I don't get bored. I can say a lot of bad things about my nation. However, one thing is for sure: Romanians are not chauvinistic at all as compared to the atrocities provoked by other "superior" white races throughout the history. And no one has ever thought of driving the Hungarians or the Germans out of Transylvania, which is undoubtedly their homeland as it is for Romanians. Have you ever visited Sibiu (former European capital of culture), Brasov, Sighisoara and other localities to see the marvelous German houses and streets? The mayor of the city of Sibiu is a highly-esteemed German ethnic, elected by a majority of Romanian population. The writings in italics are not mine, this came to me from a fellow who sent a rather long email. I shall send it to you at you email in its full form.